Hey Guys, I’m sure this has be discussed before but I can’t find it. 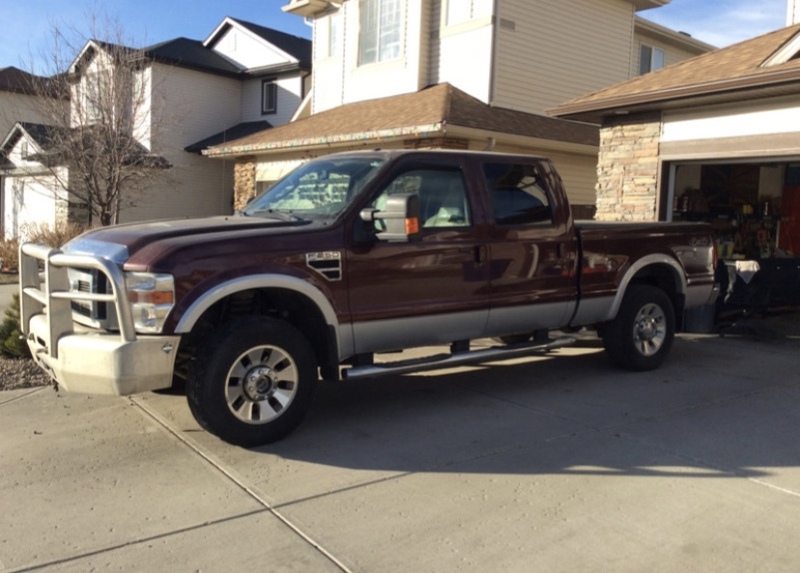 Looking to upgrade from my 07 F150. I’m getting to the point where I am maxing out the truck for towing and sometimes payload. I have a 6x12 tool trailer that’s ~4000lbs that I load lumber and materials into often. I also put the mini skid in the truck and pull the trailer sometimes and would like to do that more. I also have a 6x12 dump that I use for moving my mini skid and hauling garbage, dirt, pavers etc. For example I have the dump on with the machine, and 30 bags of concrete in the truck tonight. Another option is airbags in the rear for just solving squatting since most your weight in the trailer its very well priced for how much they can handle and install is easy. But I don't think this will increase your payload legally speaking. Does keep the rig looking legal haha them RCMP love spotting swatters and scaling them around here. Last edited by cedarboarder; 06-29-2018 at 01:42 AM. I don't know about ford, but the only difference between a gm 2500 and 3500 single rear wheel (srw) is one leaf in the rear spring pack. It doesn't sound like you're any where's close to dual rear wheel (drw) territory, but if you were, they make towing / carrying heavy loads alot more comfortable. Go with the F350. Gives you a higher GVWR. I put 5000lbs air bags in the truck the first week I owned it. In my opinion you can’t tow with a half ton without them anymore. I should have clarified, the diesel 2500 and 3500 srw drive train is identical, except for the extra leaf. I wasn't even thinking about the gas models, silly me. I’ll be buying used so it sounds like which ever one I find for the right price with the setup I need will work and that small difference between the 250 & 350 isn’t going to make a difference for what I’m hauling. Main difference between f250 and f350 is a 350 has stiffer leaves in the back and 4" blocks instead of 2.5 and a different rear end gear ratio. I think I would put airbags on either one. With a trailer and the mini skid in the bed I think it would be well worth the cost of the airbags again. I like the air bags to keep the truck riding fairly level , personally I think a truck handles better loaded. I like a dually for heavy loads even if a sw will handle it. 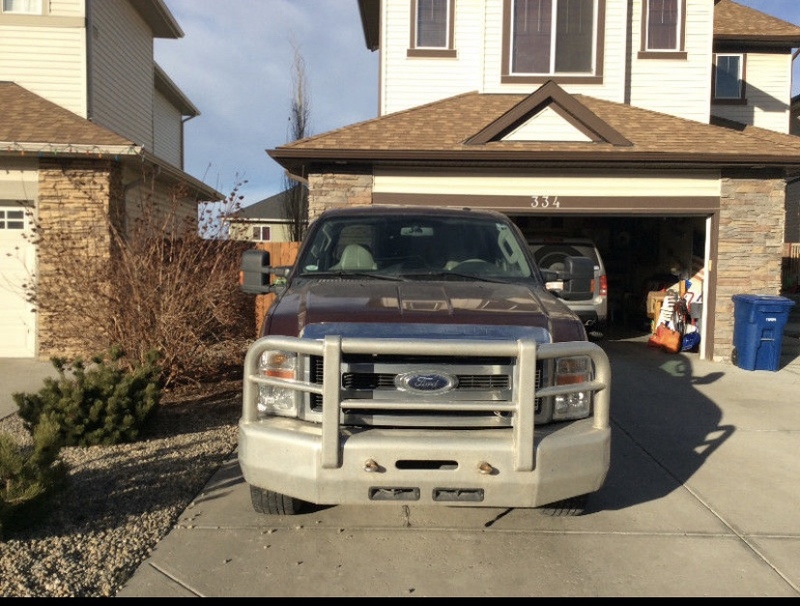 My brother's new 2012 f250 has been Nick named the super droopy. It has a cap and a 100 gallon fuel tank in it and looks like it has 4k pounds in the bed. Hook a skid loader trailer on it and the tounge drags, front end wonders and you can't stop for crap. It's pretty pathetic. He has been eye balling the air bags I have in my 350. Great when I can't avoid a bit too much pin weight.